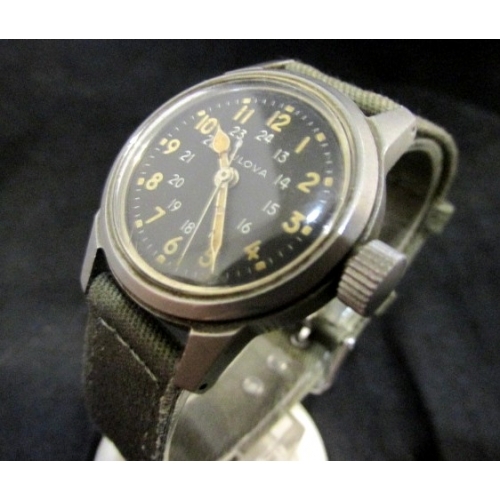 Bulova 3818-A Like new all original Bulova 3818-A. Movement is a caliber 10BNCH hack set, 15 jewels, just serviced and running perfect. Ordinance Info: Wrist watch, MIL-W-3818A, Serial No.786 Stock No.AF 6645-808-1407, Bulova Stock No. 10 BNCH. Cont. No. 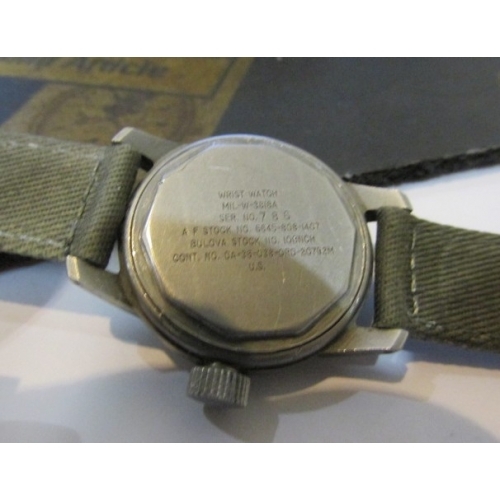 DA -36-038-Ord-20792(M) U.S. Case measures 32mm x 39mm and comes with brand new NATO military canvas replacement strap. 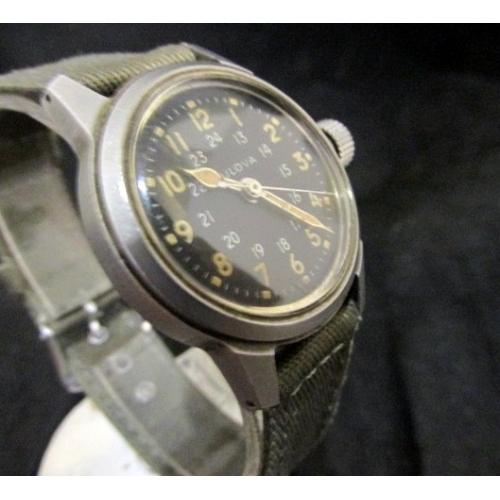 It would be hard to find a nicer all original example. 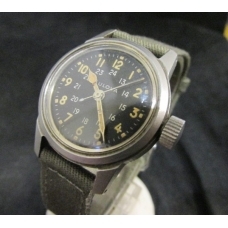 This one is in almost unissued condition.....like new!